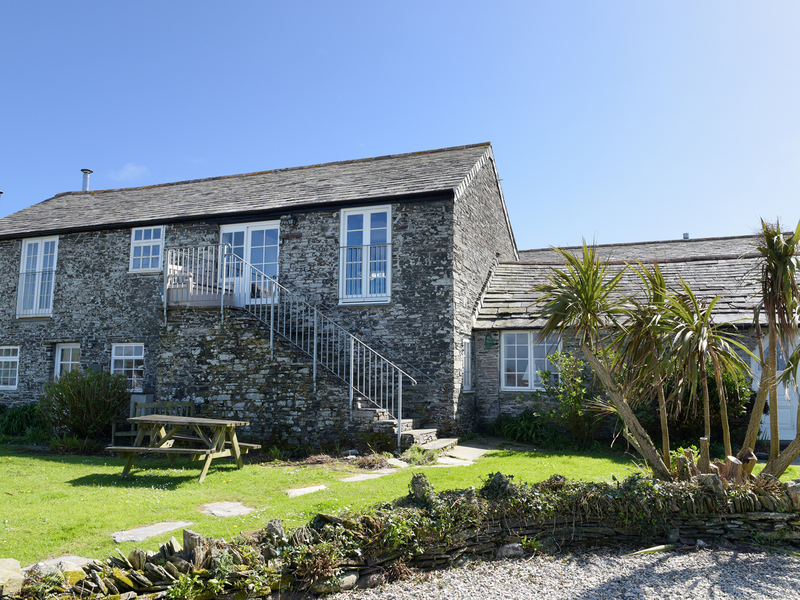 Threshings Cottage is a stone-built property set in the village of Tintagel in Cornwall. It has three bedrooms consisting of a triple bunk room, a double and a twin bunk room, there is also a family bathroom, the property can sleep seven people. Also inside there is an open-plan living area with a kitchen, a dining area and a sitting area with an electric fire. To the outside there is plenty of off road parking and a large, enclosed garden with a lawn and patio area with furniture. Threshings Cottage is a homely place to stay all-year-round. Electric heating with electric fire. Electric oven and hob, microwave, fridge/freezer, washing machine, TV with Freeview, CD, WiFi. Fuel and power inc. in rent. Bed linen and towels inc. in rent. Ample off road parking. Enclosed patio and lawn with furniture. One well-behaved pet welcome. Sorry, no smoking. Shop and pub 1.5 miles. Note: Property accessed via 12 steps, may not be suitable for those with limited mobility.